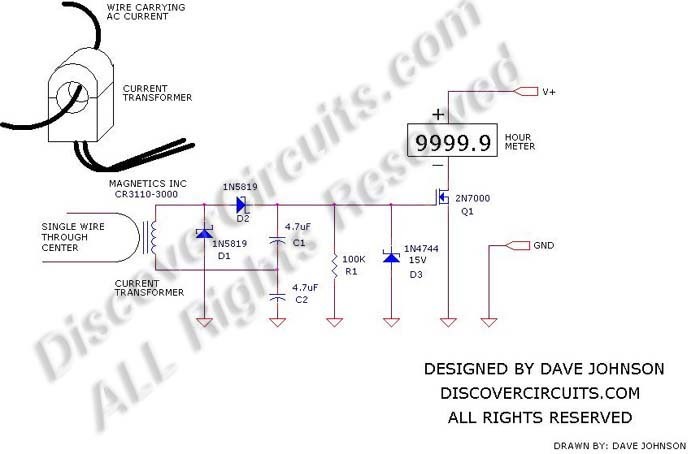 Circuit: #378- CT Hour Meter__ Circuit designed by David A. Johnson, P.E. Many systems require routine maintenance based on machine operation time. The circuit below is a simple way to turn on a hour meter whenever AC power is supplied to the machine. 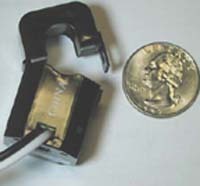 An inexpensive snap-on current transformer from Magnetics Inc, is used to detect the AC current. The output of the transformer is fed to a voltage doubler circuit. When 0.5 AC Amps or more of current is flowing, the circuit generates sufficient voltage to turn on the n-channel MOSFET. Once tuned on, the transistor routes voltage to the hour meter. 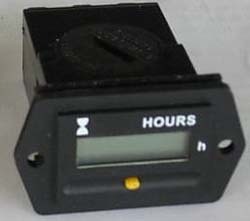 Some hour meters contain their own battery, so no external power is needed. 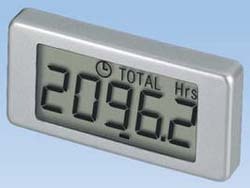 In those cases, the transistor switch alone will turn on the hour meter.